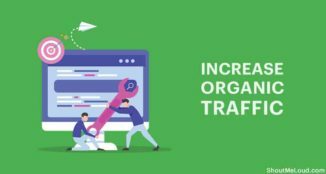 When it comes to search engine optimization of a website, we should make sure we optimize our site for all the search engines and not just one. Google is the most popular search engine at the moment followed by Bing and others, with an increase in traffic from Bing search over the last few months. It seems like Google’s algorithm changes that created lots of negative news made Microsoft work hard on their search engine and integrate many things into their search engine like social signals and deep Facebook integration. Now, this post is not about Bing but about Bing Webmaster tools which will help websites owners and bloggers get their site on Bing search index and get more traffic from it. I will keep this guide simple and to the point to get your site indexed in Bing search, and in the upcoming tutorials, I will also explain other things that you can do with this free Webmaster Tool. Site Verified on Bing. What next? If you are new to this, Bing Webmaster Tool is a free service by Microsoft for webmasters to submit their website and get a comprehensive SEO report and information related to their site. In fact, there are many features which are not even available on Google Webmaster tools, and there are no reasons why you should not submit your Website to Bing Webmaster Tool. Just like other webmaster tools, you need to create a free account, or you can use your existing Windows Live ID to log into your Webmaster account. Here is the link to get started. Once you are signed up and have created your account, the first step is to add your website and verify. Once you have submitted your website, you need to add details related to the site and ownership like sitemap link, website owner details, etc. 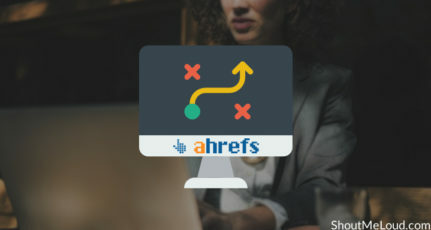 If you have not created your blog sitemap yet, you can easily create using Google XML sitemap plugin and add your sitemap link in the site info page. Providing your sitemap link will help Bing bots to deep crawl and index more pages on your site. 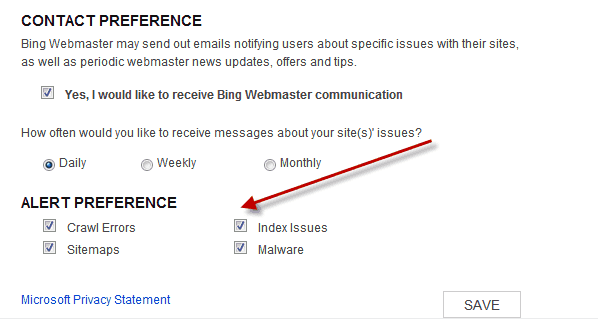 Another interesting thing is, you can set email communication preference and how often you would like to receive the email for your site’s health issues. Since my website is my full-time business too, I have set it as a daily alert so that I get notified in case of any site issues. 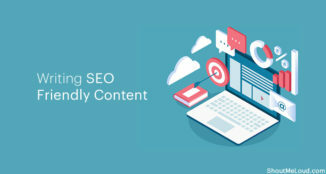 If you are using WordPress SEO by yoast, you can quickly add content part from meta tag verification and add it into WordPress SEO dashboard settings. So far, we have submitted our site to bing Webmaster tools and done with the verification. Next step is to configure a few settings which will help us get an extra edge. I have created a separate sitemap for images and videos and I must admit Bing bots are smart enough to pick all sitemaps from an existing site. 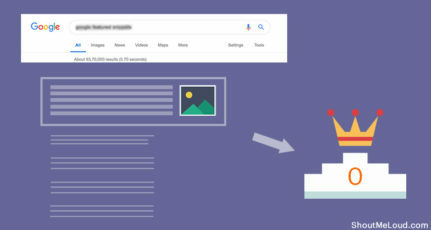 You can generate your image and video sitemap using Image sitemap and video sitemap plugins and under Dashboard > Configure my site> Sitemap you can add new sitemap to Bing. If you have submitted a complete new site, it may take time for Bing bots to crawl and index your site entirely. In that case, you can manually add a few links in here. Bing has a limit of 50 URL submission per month with the daily cap set at 10. You should also check our earlier guide on how to make bots to crawl your site faster. 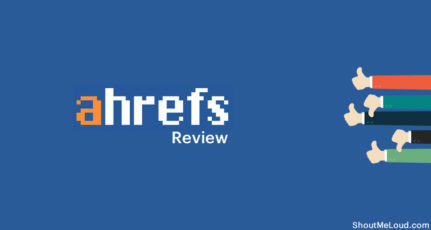 If your site pages are indexed with URL parameters like replytocom in Bing search, you can simply add this parameter here and ask Bing to ignore all such links. I hope Bing populates a few URL parameters by default like Google Webmaster tools does. When I checked my indexed pages in Bing search, I realized I have few pages with attachment_id parameter indexed. Now you all know what I did to get rid of such links from Bing. This is another interesting feature by BWT, as they allow you to control when Bing bots should crawl your site more. So, you can set the busiest time of your blog and bing bots will select the time to crawl your site more when your site is less busy. This is useful for high traffic sites and sites with limited hosting bandwidth. So somehow, bots started indexing your wp-content, tags or categories folder. Or if you decided to remove all tags and categories or any other directory from Bing search, this section will help you do the same. You can stop indexing of any page or directory on your site using Block URL section. This manual URL removal applies for 90 days and you will get an email notification 8 days prior to completion of 90 days, which is when you can decide to keep them out of the index or let it index in Bing’s search engine. There are many more things which we can do with the Bing tool to improve our search engine visibility in Bing search, but to keep this tutorial short and informative, I will end it now and will cover the next part in the upcoming post. For now, if you have not yet explored Bing Webmaster Tools or submitted your website to Bing, it’s the right time to go ahead and do the needful. If you are stuck or have any questions, feel free to ask in the comments below. If you find this guide informative, don’t forget to share it on your favorite social network and subscribe to SML newsletter for more such updates. 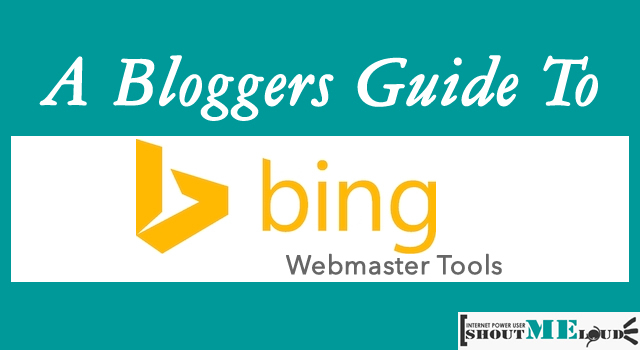 Thanks for providing quick guide to Bing webmaster tools. So far I haven’t worked with Bing webmaster tool but it seems it is one more nice tool to increase visibility in Bing. thanks for providing this handy useful guide to setup bing webmasters tool. It takes time to get working for your blog. I didn’t knew about bing webmaster tools before to read your article. Since, I opened an account and added 2 of my sites. Will see if it worth something or not (if it indexed more pages, it’s still something). I set up Bing Webmaster Tools for my sites only the other day, will this help both getting noticed within Bing as well as Yahoo or will does Yahoo have its own webmaster tools? thanks for this information. submitting the website to bing webmaster tool makes our site more visible in bing search results. starting working on bing master tools is a nice choice. I own a few websites and I didn’t add any of them to bing webmasters etc and they are crawled everyday and still ranking pretty good. I think the process you described above just speeds this process and gives you more data about your website. I’ll try it out soon. Thanks Harsh, Useful information. Bing also shares searches ratio. We should optimize our websites for bing also. I had added my websites and started getting visitors from bing too. Statcounter says. hi, My site was working fine with bing wmt since last two weeks, when i disabled the SEO by Yoast sitemap and submitted worpress xml sitemap by Arne Brachhold. then site was de indexed by Bing and still not indexed. Although i have submitted the sitemap manually both to Google and Bing, Google is ok and indexed the site but bing did not. kindly have solution. Thanks for sharing this nice information. I had heard about bing webmaster but never tried it. now i have submitted my site to bing. and looking for how much my site traffic will change. Hope there will be some positive effect. Thanks harsh for your guidance. But i want to ask that my site is also verified in bing and in google. Now i want to add every submitted URL in bing.. How i can do it?? bing submission page said that you submit only home page but i want to submit each and every submission url in bing like google.com/addurl.. plz giude me so that bing crawl my submissions fast like google. Thank you Harsh for this article, it was really helpful. Thanks for the crisp and clear instructions! Also, the info about the Bing Business Bot is interesting. This is exactly what im looking for!! Just added my site on Bing webmaster and waiting for it to index. I was going through ‘SHOUT ME LOUD’ website then stumbled upon this article. I already added google sitemap but adding in Bing never came into my mind. I followed your blog and completed the process. Without this blog, I would have probably gotten stuck in verify phase. 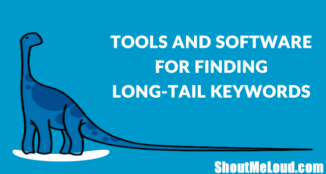 Thanks for your idea to “add content part from meta tag verification” in Yoast SEO. It saved me from a huge hassle.